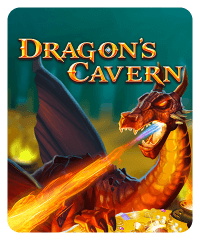 Face dragons to win great riches in Dragon’s Cavern. 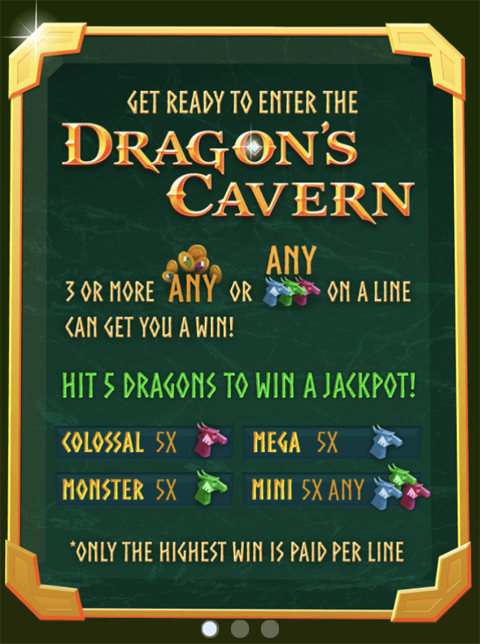 Three or more coin symbols or three or more dragon symbols on a payline could get you a win. 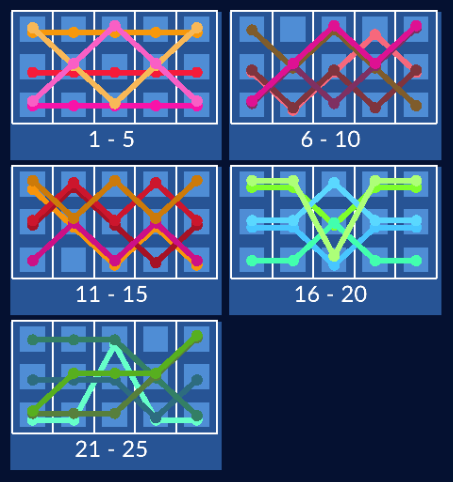 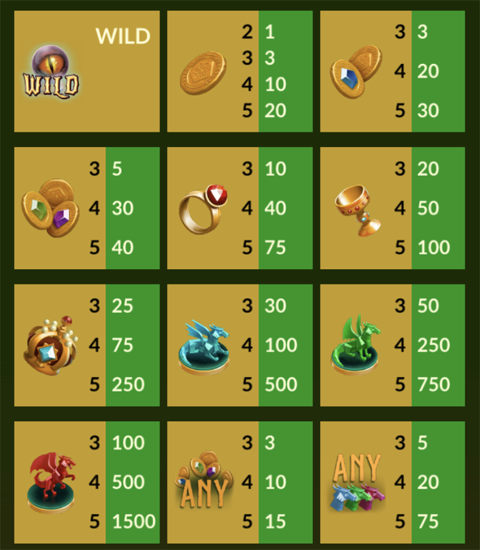 This slot machine offers Mini, Mega, Monster, and Colossal Jackpots when you get 5X dragon symbols of different colors.